This is an inspiring blend of alignment-based Yoga, linked with fluid vinyasa movements that promote strength, flexibility, alignment and rejuvenation. All classes are lovingly choreographed around a monthly foundational principle that supports awareness, skill and empowerment both on and off your mat. Options will be offered so you can practice at your comfort level. You'll leave feeling renewed, energized and excited about being your best self and living your best life! Students both new to yoga or advanced yogis learn proper alignment in this Iyengar-inspired class. Class will cover the fundamentals of asanas (postures) allowing students to experience the benefits of yoga at a relaxed pace. This class is appropriate for all levels at any age. 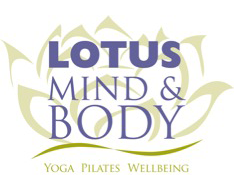 Gentle Hatha Yoga class appropriate for all levels and ages. Recommended for first-time students to begin their journey into yoga. This class teaches the basic poses (asanas) that will be practiced in Vinyasa yoga class as well as breathing practices (pranayama) and meditation techniques. Students will learn a basic sun salutation and, after a few classes, will be prepared to join other Vinyasa classes or are welcome to continue with the Intro classes if the structure and pace are most appropriate. Students flow through spirited posture sequences with fewer breaks and at a more vigorous pace. A large portion of this class is sun salutations, and back bending, forward bending and inversions will also be practiced. The linking of breathe with movement increases the strength and flexibility of the body and calms the nervous system. There is always deep relaxation, pranayama (breathwork), and a brief meditation to end the class. Some yoga experience is recommended prior to attending vinyasa classes. Viniyoga™ is an authentic transmission of the teachings of yoga, including āsana (postures), prāṇāyāma (breath work), chanting/mantra, meditation, and personal ritual. * These yoga tools are adapted to meet the unique condition, needs and interests of each student. In this way, each practitioner has the opportunity to individualize and actualize her/his self-discovery and personal transformation. The emphasis in a Viniyoga class is on “the person, not the poses.” If you are looking to deepen your practice with authentic teachings, please give Viniyoga a try. Explore a Luxurious Opening of the Body and its Energetic Pathways. The Yin Practice is Quiet and Deeply Energetic. This class is appropriate for all levels at any age. If you're new to yoga, we recommend starting with Alignment, Gentle, Viniyoga, Yin Yoga, or a few Intro to Vinyasa classes. Gentle, Yin, Alignment, and Viniyoga™ classes are great ways to start if you have mobility issues or are recovering from an injury. If you're unsure, just let us know and we'll be happy to help you find the right class for you.